This beautiful 3.5" x 5" silver plated photo from the Bambino by Juliana collection has a simple design. 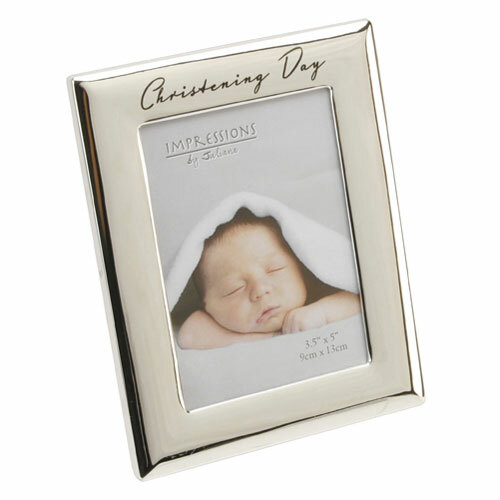 At the top of the photo frame, the words "Christening Day" is presented stylishly. This photo frame would be a perfect gift.